Free Farm Stand sans Farm? When I started the Free Farm Stand in 2008 I didn’t have a farm, but had the experience of growing a lot of kale in my backyard and making up bundles using reused produce twisty ties that said organic. It was so fun making up those beautiful bouquets of dino kale and giving them away at our new Farm Stand in the garden in the park. It was sort of pretending to be a farmer like kids dress up and pretend to be superheroes. 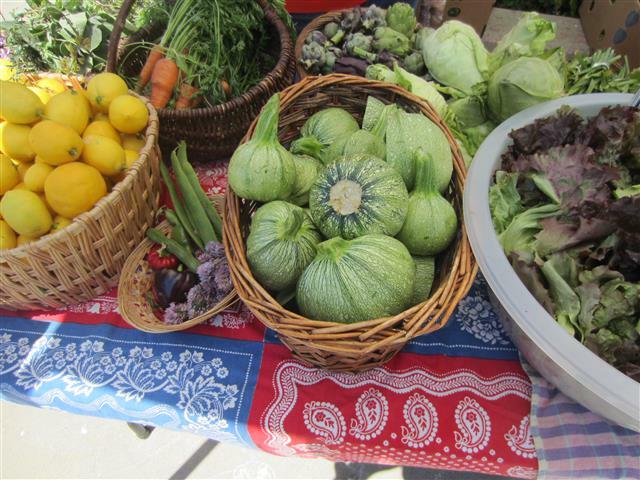 I thought it would be fun to be a farmer and grow a lot of produce and give it away in a beautiful manner. So the first two years of the Free Farm Stand we were without a farm and grew food wherever we could. We helped start a number of gardens or got involved with gardens that needed help or helped some neighbors install gardens in their backyards. Some gardens were bigger than others, but nothing you could call a farm. At some point we started collecting leftover local organic produce from the Ferry Building Farmer’s market. I think it is like the “what came first the chicken or the egg” question. The number of people coming to the Free Farm Stand increased when we started getting more produce (or was it the other way around, that we got more produce to deal with the growing numbers of people coming?). We seemed more like a free food program than a program that promotes growing your own food and sharing surplus with neighbors as a way to address hunger , food insecurity and a host of related problems like diet, health, and climate change. We didn’t intentionally go out and look for a farm it just fell in our lap. Lauren from Produce to the People told me about the land and it took me a month to go and look at it because it wasn’t in the Mission (I wanted to stay more local). The rest is history and 9,000 lbs of food grown and harvested and distributed for free to those in need. It has been a relatively short 3 year history, and now we are losing our farm, because it was never agreed to be permanent. The other day when I was at the Free Farm I noticed that one of the avocados I planted is covered in baby avocado fruit. It is sad of course, but I still pray that I might get a chance to be a Johnny Avocado Seed, have the time to plant avocados, learn to graft them, and give them away to people to plant them everywhere in the city. 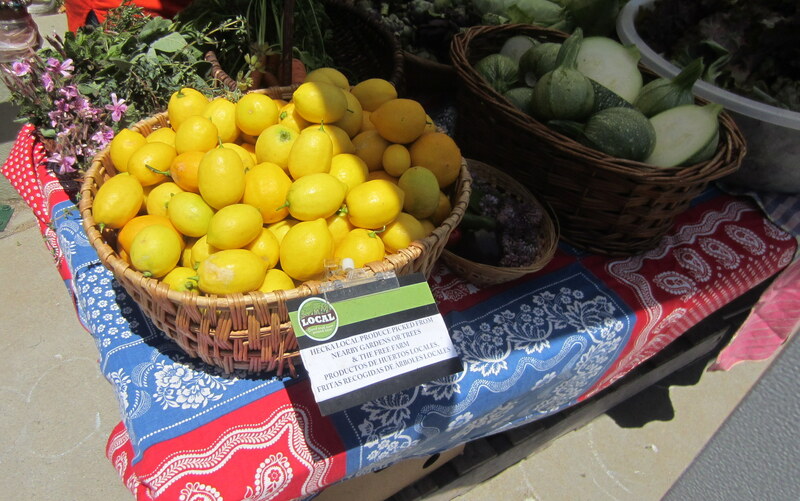 I would also love to give locally grown avocados away at our Free Farm Stand and have them as common as lemons that people grow and bring their surplus to us to distribute. Though I may not get the chance with the trees at the Free Farm, now I know I can grow avocados in a neighborhood other than the Mission if you have the right spot. I also noticed that the avocado that I planted in the community garden I volunteer in has not only a few big avocados, but has also a lot of tiny baby avocados. 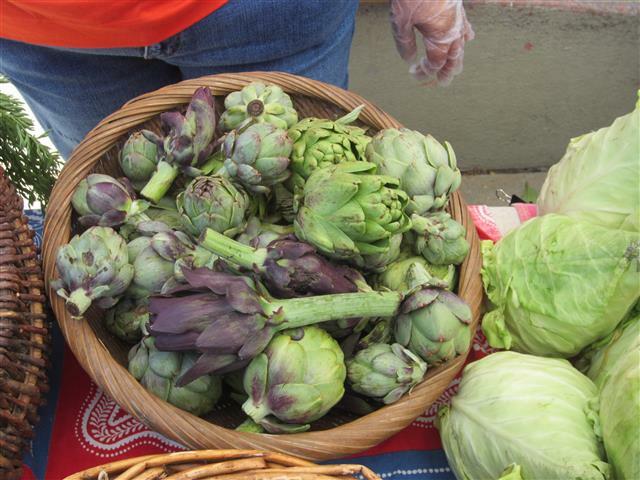 The Free Farm Stand is basically on cruise control now and we get a lot of produce coming in. I have had to make a sign to put on the table to catch the attention of shoppers, pointing out the produce that we grew or that others have grown or gleaned. Otherwise it all looks the same, fresh and beautiful and usually the same kinds of produce since we are both seasonal. We now have expanded to a second shift when we get a delivery of left-over produce from the Sunday farmer’s market at the Stonestown Mall. That delivery makes you feel you are at some food pantry. lots of summer seedlings (here is a story…last week when I was coming back from the garden in the park, I was carrying some unplanted seedlings back to my home. A man approached me and saw the pepper plants I had and wanted some for his garden. 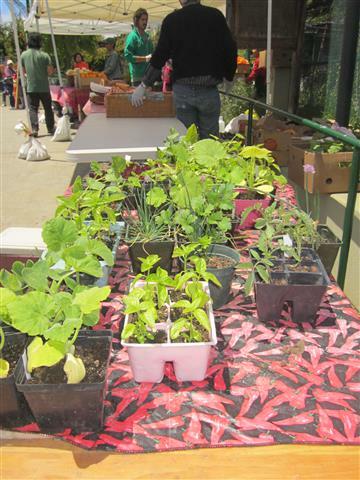 The starts we give away are super popular and people are making the effort to grow food! I really love this when it happens, when the stuff we urban farmers grow saves the day. Though what really saved the day in terms of sheer volume of food iss the second delivery of produce. It seems out of nowhere more people showed up and miraculously we gave all the bounty away except for a mixed box of kale and lettuce and some onions. I have started wondering what will the Free Farm Stand be like if we don’t have a farm again? We have been searching for land and also looking at possible ways we may collaborate with others. So far we can’t shout Eureka! I just read that another urban farm that inspires me in Berkeley called Urban Adamah bought land. “Urban Adamah is an educational farm and community center in Berkeley, California, that integrates the practices of Jewish tradition, sustainable agriculture, mindfulness and social action to build loving, just and sustainable communities.” See http://urbanadamah.org/. We have had interns from their farm visit us at the Free Farm and help us out. In the article I read online, http://www.berkeleyside.com/2013/05/23/urban-adamah-buys-2-acres-in-west-berkeley/ , “the community farm that has been operating out of rented quarters on Parker Street for two and a half years, is in contract to purchase a 2.2-acre lot next to a restored section of Codornices Creek in West Berkeley.” They have raised $1.5 million of the $2.5 million to purchase the lot. Thinking about our situation I realized that they are much more connected to wealth then we are and the idea of us finding land like that in San Francisco, especially in the Mission and then raising that kind of money is really a big challenge to manifest. Then there are taxes to pay. Last week’s Bay Guardian ran a cover story called Vanishing City (http://www.sfbg.com/2013/05/21/vanishing-city) about the eviction epidemic going on in the city, people evicted from their housing and farms/gardens displaced from the land they are on. My friends that have been involved with Esperanza Gardens and with whom I worked helping to build that garden, got some attention on the closing of that project. The Free Farm got mentioned as another urban farm being evicted and it was pointed out that the Free Farm Stand is going to lose two sources of produce. 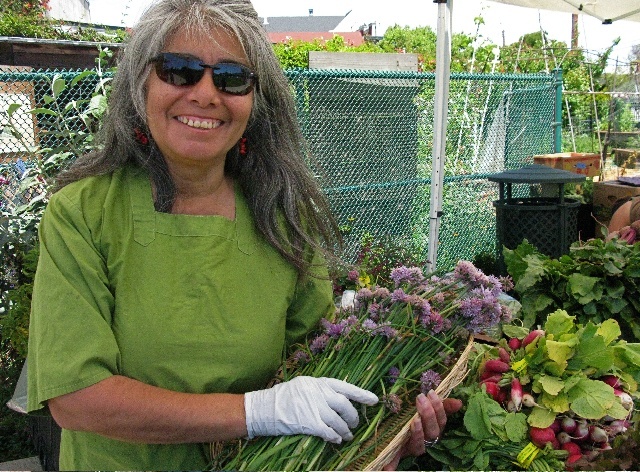 Here is a video made about Esperanza and includes footage of the Free Farm Stand. The video was made for a crowdfunding effort to buy the Esperanza garden and the former Cell Space. But that project never went forward so this video is not up-to-date, but it has some quality footage of the Free Farm Stand. The Human Be-In people (http://humanbein.org/)are organizing an event at the Free Farm this Saturday June 1st from 1-2pm: There will be discussion and dialogue about all the farm/garden evictions going on and how we can transform our farm energy into something positive after our farm has gone away. Come out to discuss the correlation between land access and food justice and how we can all come to the table to build a better world together. People will be meeting just across Gough Street in Jefferson Square Park after the talk to take direct action to plant food. For those who want just do some farming work come by for our work day 10am-2pm. Paper/Cups is an open participatory demonstration involving paper making and ceramic cup making. It is a collaborative venture with the Berkeley based ceramic artist Ehren Tool and Shotwell’s Drew Cameron. It is a semi-portable ceramic and papermaking event that uses their respective crafts to engage participants on matters of their personal relationships with the military and the collective effects of militarism within society. As I was loading the van last week with produce for the Free Farm Stand I felt like I was walking through the Valley of Valentines. Each bag and box of locally grown produce made me feel so special and blessed. Each bunch of tree collards, or bag of fava beans, bouquet of lettuces, handfuls of rocoto peppers or lemons that were harvested in nearby San Francisco gardens or farms was truly a love gift. Each came special delivery with a kiss on each leaf or fruit. This is the quiet revolution going on right now and it is so beautiful and precious, neighbors and friends growing food and sharing it with those in need at our weekly Free Farm Stand.It may be only on a tiny scale, but all this love energy adds up, it is the serotonin in our soil that makes us all feel happy and hopeful, and we are growing it! This weekly this activity is going on against a back-drop of development steamrolling out of control in our magical San Francisco. People are losing their homes where they live and getting the boot and gardens/farms are getting evicted too. In the past two weeks there have been goodbye parties at Hayes Valley Farm and Esperanza Gardens (Kezar Garden and HANC Recycling Center had not only a party a month ago but a short Occupation). The Free Farm is next in line (go to our other blog http://thefreefarm.org/ to read what is the latest there. I really applaud those who Occupy locally and stand up and say that this development must stop for now. The Farm Occupiers in Albany across the bay who this weekend said no to development at Gill Tract Farm land are our true heroes and Engish Digger types who planted the Commons only for the agents of the landlords to bull doze what they planted (http://www.youtube.com/watch?v=eSj1Gn2J-X4). It is not a time to despair, but to get back to getting our hands dirty and our green thumbs flexing. We must be in for the long haul and keep the farms and gardens growing food whenever we can. 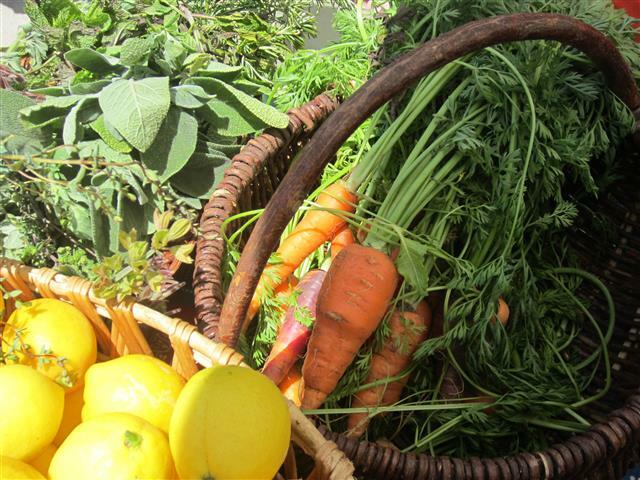 It is pretty simple really…take some time to grow food and flowers and harvest fruit from trees. Share it with those in need. Make it beautiful and fun. While I was at the Esperanza Garden goodbye celebration party yesterday, I kept thinking if only we could get these people working instead of just standing around drinking beer or eating pizza from a cob oven (I couldn’t eat the pizza because it wasn’t vegan). I mean it is cool to celebrate the great work we have done, but I had to go home alone and unpack the van from the Free Farm Stand and deal with boxes of very ripe apricots and peaches. And across the street from me is a guerilla garden we have started growing that will produce more produce for our stand if we can only get the people to help make it happen. Esperanza Garden will need a lot of help moving (they have to be out in two weeks). If you can give them a hand contact me and I will let them know. I think they are a bit disorganized with the move (I can understand the problem of having to move a living garden). Also, one of the main people there is a busy mom and she has been carrying a lot of the load keeping this garden happening. I also think Hayes Valley Farm still might have fine wood chip mulch to give away. At the Stand yesterday we had a lot of locally grown love in the form of produce from various gardens/farms, a lot from Alemany Farm and the Free Farm…actually almost as much produce grown in San Francisco as we got left-over from the first batch of produce from the ferry building farmer’s market. The second round of produce that we pick up from Stonestown Farmer’s Market was amazing. It is like we suddenly switched into summer mode and we had tons of apricots, cherries, peaches, cucumbers, and zucchini and we actually had a challenge giving it all away. That is why I came home with so much soft fruit that I am jamming as I write. 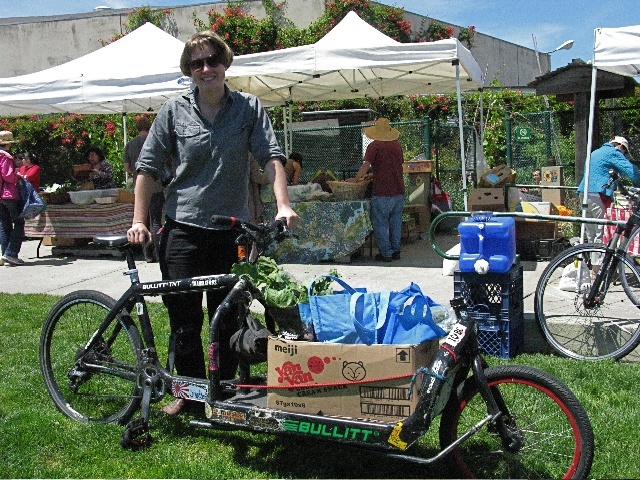 Here is some inspiration if you need it to become a free food activist : http://www.nytimes.com/2013/05/12/us/fruit-activists-take-urban-gardens-in-a-new-direction.html?emc=eta1&_r=1&. This is the idea is to create Edible Parks and plant fruit trees in them. There is a the urban agriculture strategic plan that just recently got passed (http://www.sfuaa.org/uploads/4/8/9/3/4893022/urban_ag_strategic_plan_final.pdf) and it is quite a read! Despite the input of “30 stakeholders” like us at the Free Farm, many of us have not been not too fond of Recreation and Park (possibly the majority of us), yet the plan recommends that agency being the lead for the Urban Agriculture Program in the city. It is worth looking at the appendix and checking out the budget for urban agriculture so far ($4.4 million this year next year $3.6 million). Wow a lot of money going into salaries and some programs getting most of the share of the money. 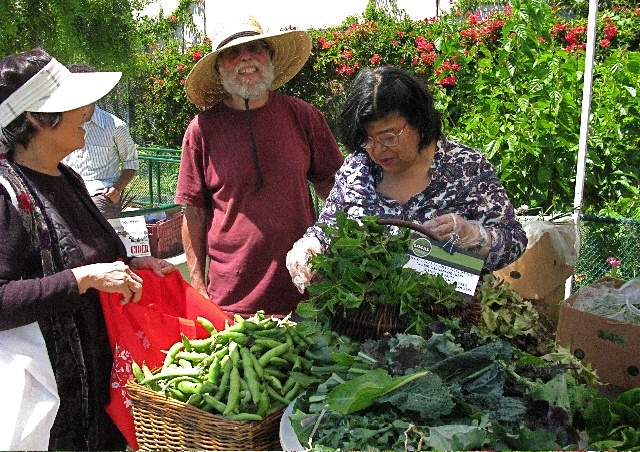 What we are doing at the Free Farm and the Free Farm Stand or like at places like Alemany Farms or Esperanza Gardens is showing what can be done with little money and no salaries. We need more help from the city supporting our efforts and putting money into purchasing or long term leasing land or opening up more park land to our efforts (the problem being Recreation and Park is has been awful to work with so far). If you want to give your input about this issue you can go to the SFUAA meeting Tuesday, May 14, 2013. Time: 6:00 pm – 8:00 pm. Place: Global Exchange, 2017 Mission Street (@ 16th), 2nd Floor Conference Room. Representatives from Recreation and Park will be there. Also, Wednesday, May 15, 5:30-6:30 @ City Hall, Room 278 there will be an open house convened by Supervisor David Chiu, Office of the City Administrator and RPD to solicit feedback on the strategic plan. More inspiration of a garden activist in Los Angeles who is also making changes on a truly grass roots level (http://www.nytimes.com/2013/05/05/fashion/urban-gardening-an-appleseed-with-attitude.html?pagewanted=all). A number of weeks ago we posted a video of a TED talk that Ron gave that apparently went viral and now all sorts of people want to support him.